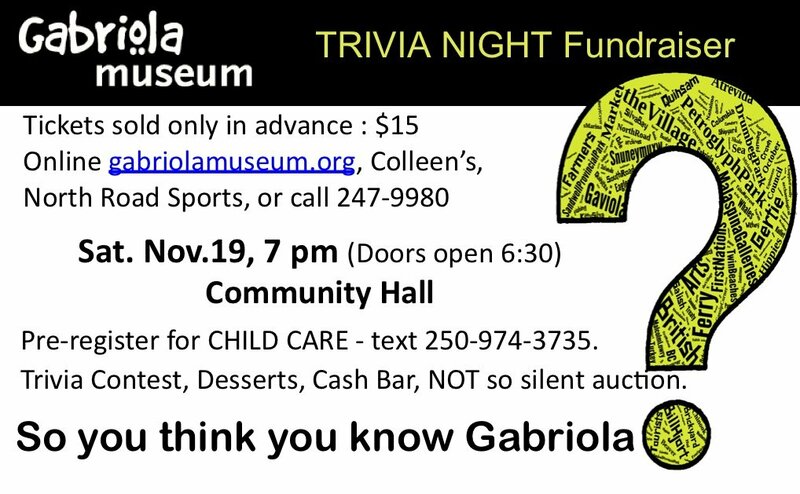 Spend an evening challenging your knowledge of Gabriola past and present. Enjoy decadent desserts, tea and coffee, or something from the Bar. Eric Boulton will tempt you with a NOT so silent auction.